Are you looking for unique wall letters to decorate your family playroom? Read on! 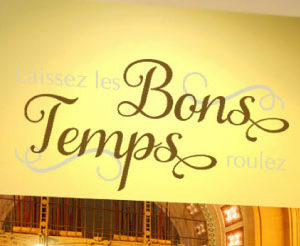 ‘Laissez les bons temps roulez’ meaning ‘Let the good times roll’ wall words are just right for this fun room! 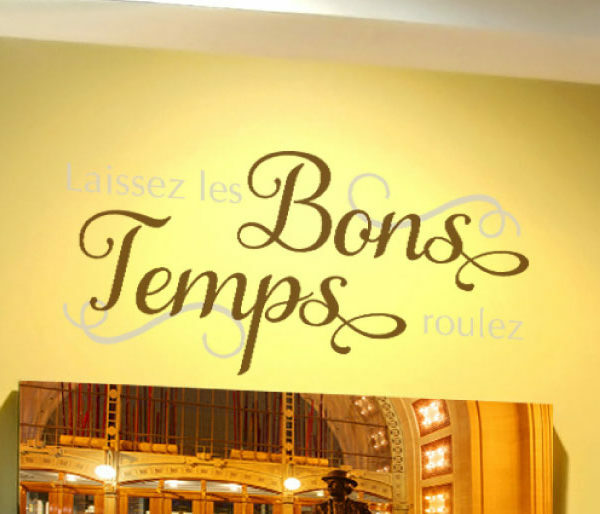 We applied this wall lettering above the framed artwork. Next to them was a colorful machine: that promises to keep everyone occupied for hours! 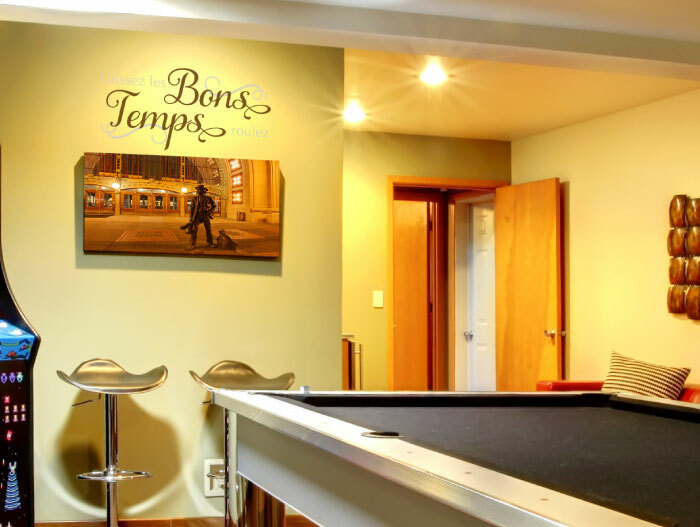 Whether you are playing pool or just catching a favorite game on the television, our wall quotes will be a reminder of the awesome fun times you have with your friends and family in this room! 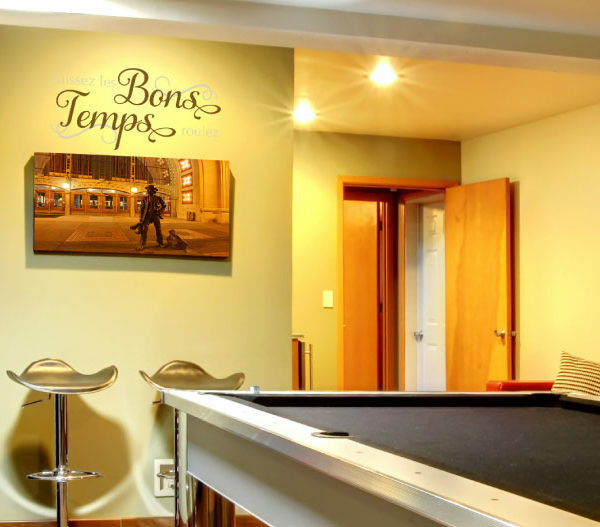 At DecorativeLettering, we have these and more wall quotes available that are suitable for all the rooms where the family gathers to chat or play! Select from our vast quote library or submit a favorite one. We also work with custom wall quotes. Use our previewer to make sure that you have selected the right color, style and size for your wall space. 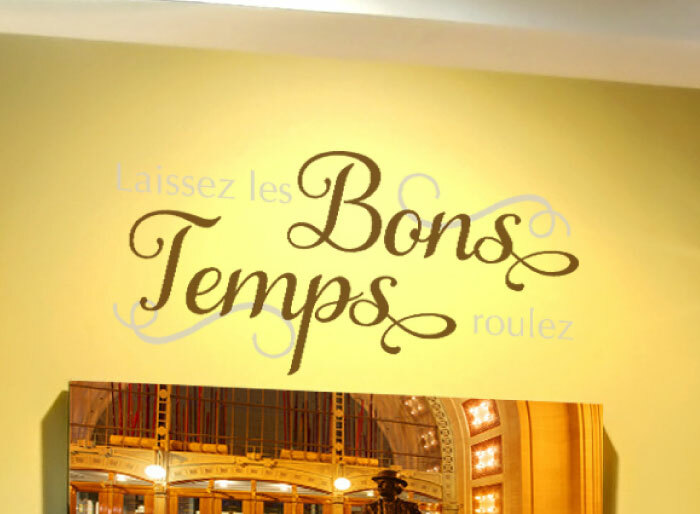 Try our products: you will be pleasantly surprised at what we have on offer! Our wall decals are durable. Made from resin, they are resistant to extreme heat and cold. You shall be able to enjoy them all year round! Application is simple: remove the back sheet and paste the adhesive side of the wall lettering to the wall. Do call or email. We would love to help you decorate your wall space with fun and creative wall decor!